MANILA, Philippines - It is said that a picture is worth a thousand words and for singers IU and Super Junior's Eunhyuk, their photo on Twitter has raised questions, disbelief and shock. 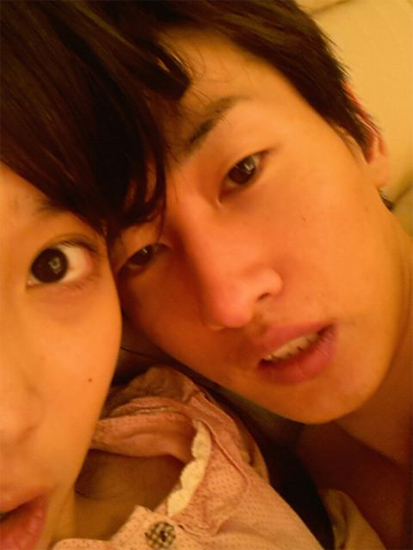 Last Nov. 10, IU posted a picture of herself and Eunhyuk on Twitter. The photo showed IU and Eunhyuk's faces almost touching. IU was wearing pajamas but some fans pointed out that Eunhyuk appeared to be shirtless. The photo became a hot topic on Internet portals in Korea. Many were asking if the two were dating. It also cast doubt on IU's pure and innocent image. Immediately after she uploaded the photo, IU deleted it. LOEN Entertainment, IU's agency, released a statement to apologize and deny that IU and Eunhyuk were in any relationship, saying that they were just friends. "First of all, we would like to apologize for any inconveniences or worries we may have caused to the fans of IU and 'Super Junior,'" said the agency, according to Soompi.com. The agency said the photo "was taken when Eunhyuk visited IU who was very ill at the time. Early this morning, IU accidently released this personal picture when she was updating her Twitter account," according to Soompi.com. "IU sincerely apologizes for her mistake and causing any inconveniences to Eunhyuk," it added. LOEN said the two are just close friends. "And lastly, IU and Eunhyuk have been close friends and colleagues since IU’s debut. Eunhyuk is also a family friend; he even has had lunch date with IU’s mother," LOEN said. The agency then asked fans not to spread false rumors about the photo, which it called a "mistake." "We humbly ask you not to make assumptions or spread false rumours based on this mistake. We have learned our lessons from this mistake, and we apologize again," it said. SM Entertainment, Super Junior's agency, has not issued any statement about the photo. Korean netizens have set up an internet cafe on Naver.com to demand the truth from IU. The cafe has 3,380 members to date.